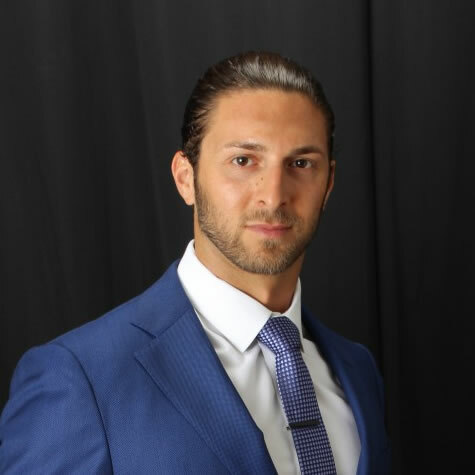 Born and raised in the suburbs of Long Island NY, James Christian has a well versed education and training in the medical field from the south to north shore and spanning Manhattan, Queens and Brooklyn. His strong desire to leave an aesthetic impact in the greater New York area stretching down to the white sand beaches of Miami Florida has been one of his long time dreams. He began his practice nestled on the gold coast of Long Island and has since expanded greatly alongside the advancements in injectable and laser technologies. James has a provided exceptional service with all Injectable fillers and muscle relaxants over the past decade and continues to make improvements as modern medicine evolves. Beauty enhancement is a true passion and pivotal cornerstone of James Christian's practice (James Christian Cosmetics). As he has been quoted saying "Looking at a patient’s natural beauty and enhancing it at a steady methodical pace is my main objective, I strive for perfection for a natural aesthetic appearance versus overdoing or altering a person’s natural look." James Christian started his education at Florida Atlantic University in Boca Raton, Florida. From there he then completed his graduate studies in allied Health Sciences at Touro College receiving a degree and medical license as a physician assistant. James Christian specializes in the latest Dermal fillers, Dermapen and Botulinum toxins. He has honed his skills over the years by training under some of the top plastic surgeons of the metropolitan area. From this experience he has developed a strong belief that using Injectables is an art form to help regress as well as preventing the aging process. James Christian's subtle, yet unique, technique accompanied by a light touch of the hand gives patients the relaxed state of mind before any procedure. His bedside manner creates a comforting experience from the moment you enter his office. This all works well toward his goal of striving for perfection and providing a pain free procedure and experience to new patients. With his continuing education in the technological advancements in Aesthetics James Christian is always on the cutting edge. Modern medicine is the future of cosmetic treatments around the world and James Christian is the portal to gain access to the ever growing industry. With his finger in the pulse, you will always have access to breakthrough anti-aging medicine. James Christian's affiliates range from cosmetic Injectables supplied by Allergan, Merz, Invasix, Cynosure SmartLipo and many more. James Christian's advanced training with certifications in performing the industries top products Botox, Xeomin, Juvederm, Voluma, Radiesse, Bolotero & Sculptra has put him atop the leaders in anti-aging injectable procedures.